It is time to experience the timeless saga of the Urdu form of poetic storytelling known as Dastangoi. Our Lifestyle Features Writer, Kinjal Pandya in conversation with Himanshu Bajpai, a renowned Dastangoi story-teller about his love for this art form. Meghna Golder recalls the perfect meal at The Clachan Lounge Restaurant, in Aberfoyle, a quaint little village in Scotland. Her vivid description of her meal will make you want to pack your bags and head out and relive her travel experience. On World Poetry Day, our Lifestyle Features Writer, Kinjal Pandya explores the legacy of love through the timeless poetic verses of Hazrat Ameer Khusrau and Kabir. Have you ever set foot on a Root Bridge and experienced calm and serenity at Rainbow Waterfalls? If you haven't yet, then you will want to when you read Aparna Mohan's travel story on her recent trip to Meghalaya. Here's the story of Somapika Sarkar, Founder, Hurray Kids, who is spreading the awareness and teachings of life skills to children in a simple and joyful manner through her educational venture. Meghna Golder shares her fondest street food memories from Hong Kong. It makes us drool with the very mention of sushi and jerky. Here are her top 6 favourite snacks that she recommends that you should try the next time you're in Hong Kong. 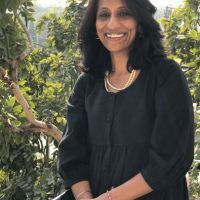 Meet Shalini Singh, the first woman in India to launch a matchmaking platform called andwemet.com. We share with you snippets of our conversation about why and how she decided to launch a responsible website that would help the urban Indian to find their soulmate. What came first? The chicken or the egg? How were humans & continents created? Meghna Golder explores six unique myths across the globe in an attempt to unravel the mysteries of human and our planet's origin.